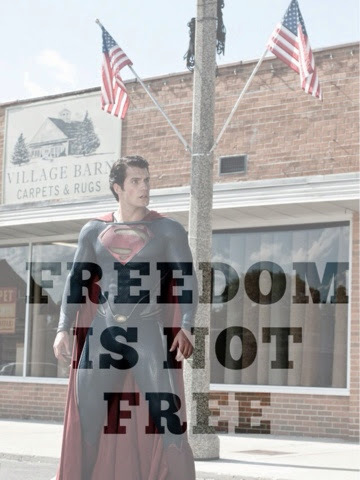 Superman stands for freedom, and on a daily basis we're reminded of the ultimate sacrifice real Supermen and women have made to give us that privilege. "He is a kind guy. The funny thing about him is I think because he comes from a military family and his brothers are in the military, this idea of service – the kind of service Superman must take on – is not foreign to him, so it's not like a thing he has to put on, like, 'In this scene, I care?" 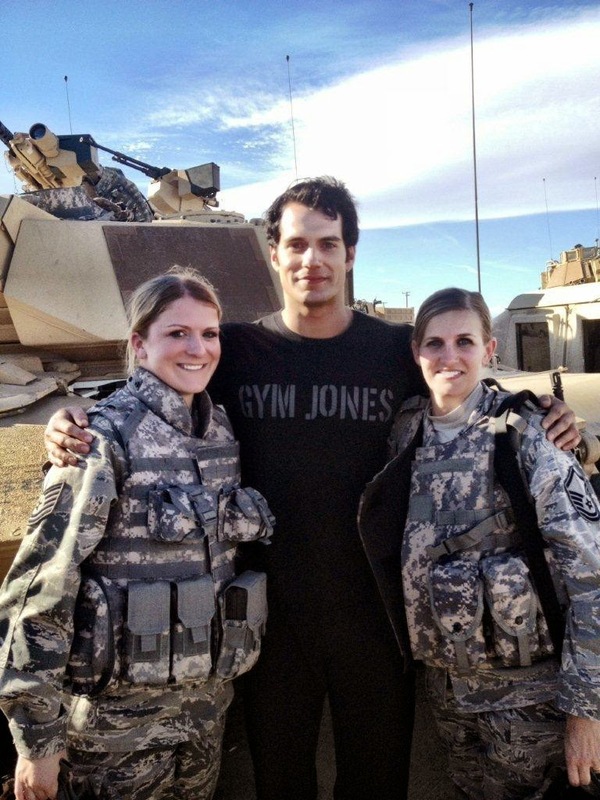 Henry got a chance to work with members of the military, when they played extras in Man of Steel. He also took part in two (1/2) meet and greets with them at Edwards Air Force Base, and never forgets where he comes from. So on this Memorial Day we remember our fallen heroes with a simple thank you. You've done us proud. Charming Henry: BEST. PICS. EVER. 'Batman vs. Superman' Filming: Here We Go! World's Finest: Let The Fan Art Creations Begin! New Pic From Detroit: The Legendary Lives! More Of The Gorgeous In Chicago: You Got It! 31 & Going Strong: Happy Birthday Henry Cavill! Free Comic Book Day: Go Get Yours! Ladies & Gentleman, We Present To You: Superman!